What is the maximum square foot heating capability? 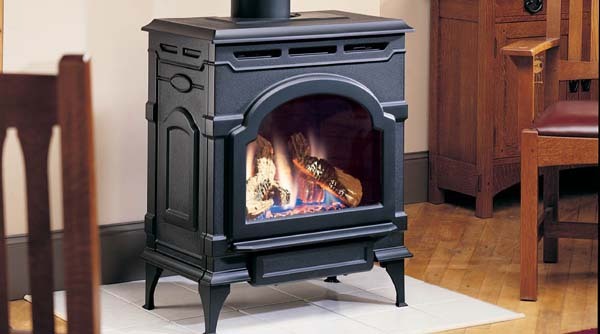 With 28,000 BTUs, this stove is capable of heating approximately 600-800 square feet. Is it possbible for this unit be vented into existing chimney? Yes, however the chimney would need to be completely sleeved with the proper direct vent pipe. The unit cannot be passively vented into the chimney. Can this be used without electricity? This model utilizes a millivolt control valve which would indeed allow it to be operated without a power source.